← Benghazi and President Obama’s Foreign Policy — Proactive or Reactive? Does he have a foreign policy? President Obama does have a foreign policy. It has six simple components. (6) Do whatever else he hopes will result in his reelection. 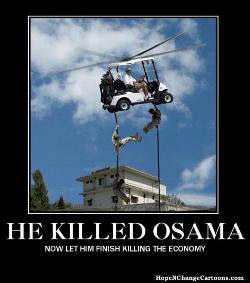 His are hardly good foreign policies, but they are his and we are stuck with them for as long as he remains in office. 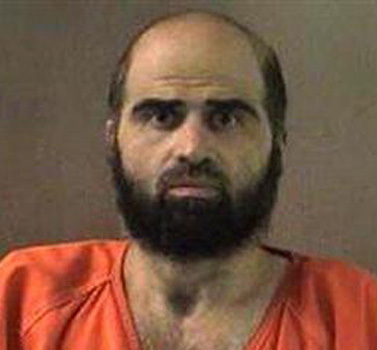 We got a whiff of them in a domestic context in 2009 when President Obama labeled Major Hasan’s attack at Fort Hood mere workplace violence and not a terrorist attack, a characterization that has not changed. During that workplace violence, thirteen American “bumps in the road” were murdered and twenty-nine others were wounded while the peaceful major shot them as he yelled “Allah Akbar.” Unfortunately, there was no obscure video on which President Obama could blame the attack; workplace violence had to suffice. Former President Clinton’s Secretary of State Madeleine Albright stated, during a “phone interview arranged by the Obama campaign” in advance of the Obama-Romney foreign policy debate scheduled for Monday, that Governor Romney and Congressman Ryan lack President Obama’s foreign policy experience. Although President Obama had no foreign policy experience when he assumed office, his experience in mendacity and in mesmerizing voters seems to have been sufficient for his purposes. Now, he has experience in both foreign policy and mendacity, but his skills at mesmerizing voters seem to have deteriorated. The foreign policies in which he now has experience have failed us and we will learn shortly after November 6th whether we are to be stuck with them for the next four years of his increased flexibility. (3) What different policies, if any, should be implemented during the next four years. This entry was posted in 9-11, al Qaeda, Appeasement, Benghazi, Democrats, Dep't of Information, Governor Romney, Ideology, Islamist rage, Murder, Obama, Opinion, Osama bin Laden, Politics, United States, White House and tagged libya, madeleine albright, politics. Bookmark the permalink.